I got this tie after 10 days and when I opened the package I was blown away. This tie is amazing. Trust me, the actual tie in your hands brings awe compared to the picture shown. 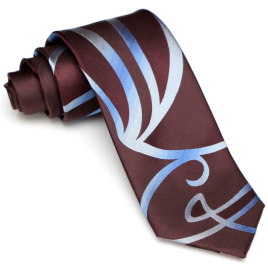 Definitely a must for all who fans as well as tie that stands out in a crowd. The gradient of blue is incredible and the burgundy red filling brings more colour to the original design. Thanks Indy for a truly magnificent tie.